My first association with NASA was when I met Captain James Lovell. Captain Lovell was selected as an Astronaut by NASA in September 1962. He has since served as backup pilot for the Gemini 4 flight and backup Commander for the Gemini 9 flight, as well as backup Commander to Neil Armstrong for the Apollo 11 lunar landing mission. The Gemini 12 mission, commanded by Lovell with Pilot Edwin Aldrin, began on November 11, 1966. 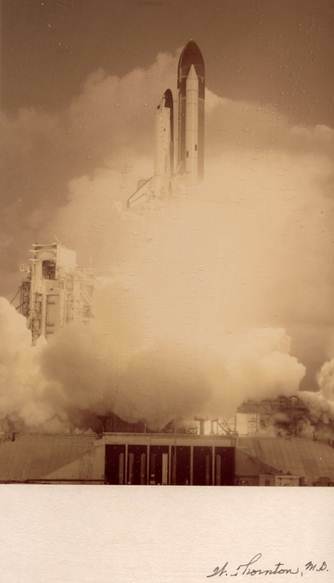 This 4-day, 59-revolution flight brought the Gemini program to a successful close. Lovell served as Command Module Pilot and Navigator on the epic six-day journey of Apollo 8 - man's maiden voyage to the moon - December 21-27, 1968. Apollo 8 was the first manned spacecraft to be lifted into near-earth orbit by a 7-1/2 million pound thrust Saturn V launch vehicle; and Lovell and fellow crewmen, Frank Borman and William A. Anders, became the first humans to leave the Earth's gravitational influence. He completed his fourth mission as Spacecraft Commander of the Apollo 13 flight, April 11-17, 1970, and became the first man to journey twice to the moon. I have met Captain James Lovell while serving with him on the Scientific Committee of the Health and Tennis Corporation of America in 1973. The Health and Tennis corporation of America was the largest Health Club chain center in the USA and probably in the World. Leading World scientists in the field of human performance such as Bruno Balke the pioneer in using lactic acid as an indicator of fitness level, Dr. Frank Katch, a leading Physiologist and nutritionist; Dr. Thomas Cureton one of the most known Exercise Physiologist, and others serve with me on this committee. Leroy Gordon Cooper, Jr., (March 6, 1927 – October 4, 2004) was an engineer and Gordo Cooper, also known as American astronaut. Cooper was one of the seven original astronauts in Project Mercury, the first manned space effort by the United States. He was the first American to sleep in orbit, had flown the longest spaceflight of the Mercury project, and was the last American to be launched alone into Earth orbit and conduct an entire solo orbital mission. Apparently, he passed the word about my technology and not long after that I had a call from two other Famous Astronauts. Astrounaut Dave Walker and Dr. William Thornton. David Mathieson Walker (May 20, 1944 - April 23, 2001), was a United States Navy officer and a NASA astronaut. He flew aboard four Space Shuttle missions in the 1980s and 1990s. Dave was extremely interested in our system and saw a tremendous resource research tool for NASA. Unfortunately, Dave our good friend died in 2001. He was only 56 Years old. Both asked to arrange a meeting with me in my new laboratory at Coto De Caza. (I will discuss in detail this great laboratory in the next Chapter). 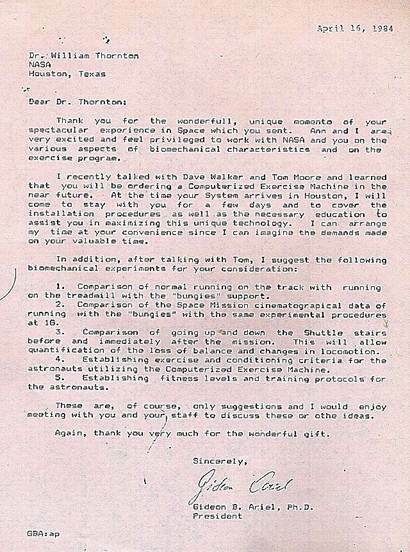 Dr. Thornton greeted me with a special pluck of his mission to space which was the first night mission to space. Thank you for the wonderful, unique memento of your spectacular experience in Space which you sent. Ann and I are very excited and feel privileged to work with NASA and you on the various aspects of biomechanical characteristics and on the exercise program. I recently talked with Dave Walker and Tom Moore and learned that you will be ordering a Computerized Exercise Machine in the near future. At the time your System arrives in Houston, I will come to stay with you for a few days and to cover the installation procedures as well as the necessary education to assist you in maximizing this unique technology. I can arrange my time at your convenience since I can imagine the demands made on your valuable time. 1.Comparison of normal running on the track with running on the treadmill with the "budgies" support. 2.Comparison of the Space Mission cinematograpical data of running with the "bungies" with the same experimental procedures at 1. 3.Comparison of going up-and down the Shuttle stairs before and immediately after the mission. This will allow quantification of the loss of balance and changes in locomotion. 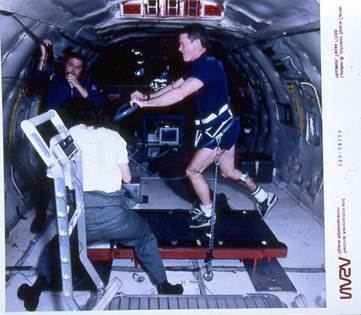 4.Establishing exorcise and conditioning criteria for the astronauts utilizing the Computerized Exercise Machine. 5.Establishing fitness levels and training protocols for the astronauts. These are, of course, only suggestions and I would enjoy meeting with you and your staff to discuss these or other ideas. Again, thank you very much for the wonderful gift. Dr. Thornton and Dave Walker met with me in my research Laboratory at Coto De Caza. They presented to me a very significant problem that they had in NASA. Apparently, NASA and the Russian Space Authority had an agreement of sharing research together. Both organization would record space missions and exchange 16mm film shown the various functions at the mission capsules. In both cases, one of the activities was running on a treadmill as an exercise. 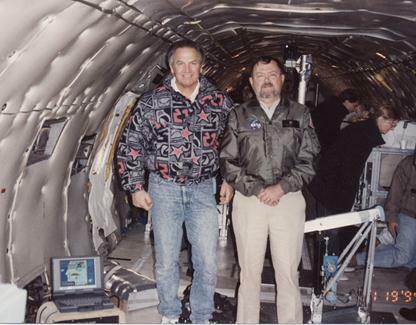 The American NASA treadmill was designed and built by the Astronaut William Thornton which was meeting with me with the Astronaut Dave Walker. One of the serious problem hat Dr. Thornton was facing was that the American Astronauts always had to use their hands to hold the handle bar in order to maintain upward position. 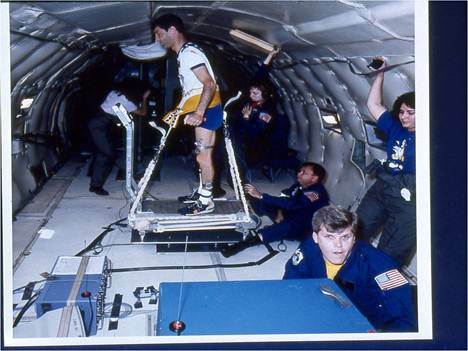 Since the capsule was in space experience close to Zero Gravity, you had to connect yourself to the treadmill with bungees cords. If the American Astronauts did not support themselves with holding the front handle bar, they would rotate while running and losing balance. However, to all surprise, the Russians were able to run without holding the front handle bars. In fact they did not need handles at all. 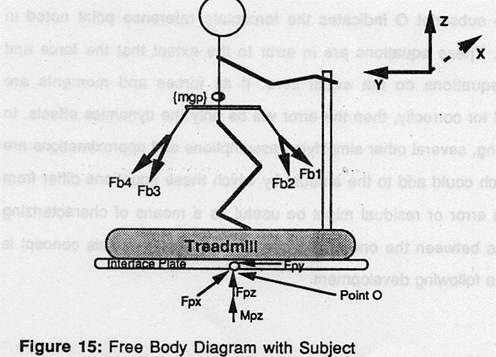 The following figure shows the original pencil drawing of the schematic of the Astronauts running on the treadmill and a real photograph of one of the astronaut running on the Treadmill. With the Ariel Performance Analysis System (APAS) we could measure all the kinematics and Kinetics parameters. This resulted in the following first experiment for NASA by ADI Inc. In Fact, this was the first biomechanical experiment in space. The idea was to compare running on the ground with running in space. This will show us what the mechanical differences and will throw light on the reason why the Russians Astronauts are so advance to the American Astounds and do not need to use their hands and arms to balance their run on the treadmill in space. We had the original data for the Americans and the Russian Astronauts supplied by NASA. The present study is the first of its kind to compare the performance of four subjects (astronauts) running on a treadmill in a zero-gravity environment (Space) to the same subjects running in the normal gravitational environment of earth. Phase I data collection was during the STS7 and STS-3 Space Shuttle missions using a special on-board camera at 24 frames per second. The treadmill running activity was recorded from two different perspectives - front and side. 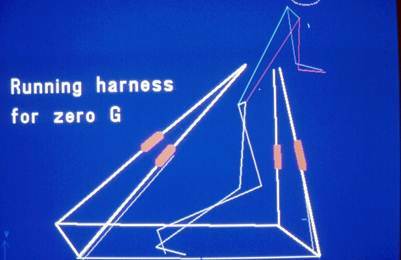 Each astronaut wore a specially designed harness connected to the treadmill with "bungee" (elastic cords) to provide vertical reaction forces and assist the subject in returning to the treadmill after each stride. A handrail attached to the treadmill contributed to stabilization and comfort. Phase II will duplicate the exercise tests and data collection on earth using the same four astronauts and the same treadmill with the bungies eliminated. In addition, running on normal ground surface will also be filmed. It is expected that the comparison will determine the similarities and differences in running performances in order to facilitate sufficient and appropriate exercise/aerobic training in Space. A biomechanical analysis will subsequently performed on the Space film sequences with the same procedures to be applied to those obtained on earth. The technique begins with each frame being projected onto a digitizing screen and the location of each body joint (foot, ankle, knee, hip, shoulders, elbow, wrist and hand) accurately measured and saved under computer control. A proprietary transformation and kinematic analysis is performed on the digitized data to yield true image space joint displacement, velocity, and acceleration information. This information is then used to perform a kinetic analysis in order to determine the dynamic forces and moments acting on the subjects during the running activity. Bungie reaction forces were included in 'these calculations for the Space sequences. WORK STATEMENT: Film sequences of the running motions of the four astronauts will be performed in Houston on the treadmill and on normal ground surface. Data collection will be made at the convenience of the subjects. Biomechanical analysis and data quantification will be performed at the Coto Research Center in California. Thomas P. Moore, M.D. William E. Thornton, M.D. INVESTIGATORS: Gideon B. Ariel, Ph.D. M. Ann Penny, Ph.D. The parameters to be measured can be shown in the following figures. Of course, the detail of this study is beyond the scope of this book. 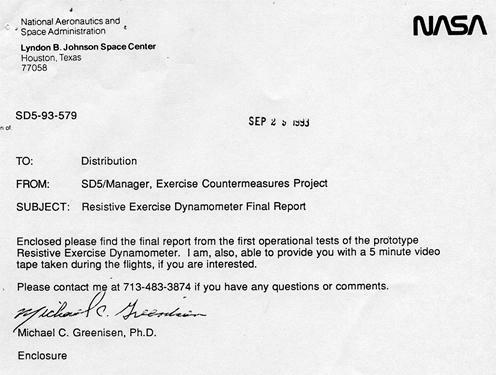 However, I wanted to point out the first study among many others that we performed for NASA. Our study was very successful and lead to amazing finding. While Ann was digitizing the film for hundreds of hours we actually notice that the Russians astronauts did not use the Handle bars. It was very surprising since the bunggi cords looked very similar attached to the body. Our Biomechanical Analysis could not reveal what the Russians doing different and from their body’s angle and movement of the legs, according to our calculations in Zero gravity the forces should tilt them backward. But it did not. Why?. We struggle with these questions for weeks. One afternoon, while Ann digitizing the images on the digitizer screen I have noticed a little dot moving down. Looking on it more carfully it seems that it was a drop of sweat detached from the Russian Astronaut. Immediately, I asked Ann to digitize this sweat droplet. “Are you crazy, Gideon, to digitize a sweat?” Ann comment at me. “Yes, I want to see what the acceleration measured on this sweat drop”. Well, amazing! The acceleration was measured 9.8 Meter per second per second. This means the sweat drop is dropping at gravitational acceleration! The Russians send us film as if they run in Zero gravity, but actually they run at 1G. On the ground, not in space! This finding was amazing and in NASA they requested and made us sign a none disclosure document not to reveal this information. It was better to know that the Russians cheating us than to let them know that we know that they are cheating us. Very nice. But I must tell you a story about the Tears in space. treadmill. This was the first biomechanical study in space !!! And attuched the cords just little higher or lower??? Well the Russians seems to do it with no problems. We digitized 25 sequences and the finding show that the Russians did not need to counter the backward moment. Why ??? Why??? We went crazy and the scientists in NASA went crazy. Guess what??? It exhibit acceleration at 9.8 meters/second/second. They sent a misleading film.... This was kept in secrete until 1995. And this was the first Biomechanical Study in space. This American-Russian treadmill running study gave us significant notoriety in NASA and we were assigned number of projects. The purpose of this study was the development and fabrication of the instruments and hardware necessary to quantify the vertical impact forces (Fz) imparted to the space shuttle passive treadmill during human locomotion in a three dimensional zero-gravity environment. 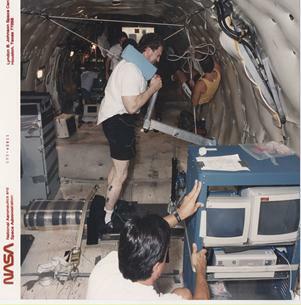 The shuttle treadmill was instrumented using a forceplate (Kistler) to measure vertical impact forces. 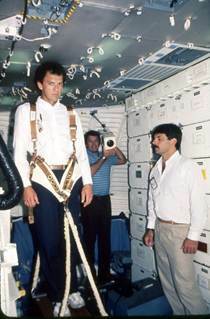 The current passive treadmill system employs a harness/bungee device as a means to restrain an astronaut in zeroG. Force links (Kistler) were employed to measure the bungee cord loading. 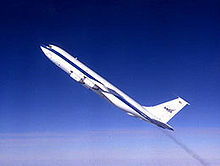 The hardware was designed so that it would meet crash loading requirements as written in the JSC-22803 manual for experiments flying in the Reduced Gravity Aircraft (KC-135). The impact force and bungee cord data was collected and analyzed using a biomechanics performance analysis system (Adel Corporation). To verify that the instruments and hardware were functional, they were tested in the Anthropometry and Biomechanics Laboratory (ABL) at the Johnson Space Center. 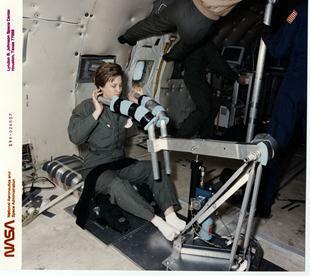 The KC-135 reduced gravity aircraft was used to determine if the system could operate successfully in a three-dimensional zero-gravity environment. It was found that the vertical impact forces could be quantified in a one-G and zero-G environment using the forceplate, and through use of the forceplate and/or bungee instrumentation, a subject's one-G weight could be replicated in zero-G by adjusting the bungees to elicit the proper load. The magnitude of the impact loads generated in one-G on the shuttle treadmill for the given walking, jogging and running velocities (1.1 G, 1.7G, and 1.726 respectively) were not observed in the zero-G environment. However for the higher zero-G jogging and running velocities (3.5 mph and 5.0 mph) greater than 1 G loads were seen (1.2G and 1.5G). Thus the issue becomes "How much impact is enough?". The present proposal is the first of its kind to com­pare the performance of four subjects (astronauts) running on a treadmill in a zero-gravity environment (Space) to the same subjects running in the normal gravitational environ­ment of earth. Phase I data collection was during the STS7 and STSB Space Shuttle missions using a special on-board camera at 24 frames per second. The treadmill running activity was re­corded from two different perspectives - front and side. 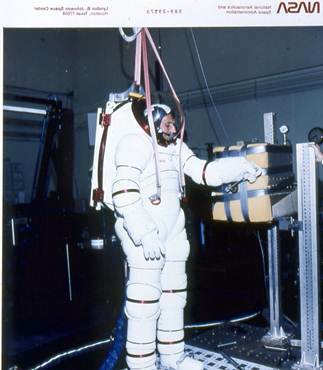 Each astronaut wore a specially designed harness connected to the treadmill with "bungies" (elastic cords) to provide vertical reaction forces and assist the subject in returning to the treadmill after each stride. A handrail attached to the treadmill contributed to stabilization and comfort. Phase II will duplicate the exercise tests and data collec­tion on earth using the same four astronauts and the same treadmill with the bungies eliminated. In addition, running on normal ground surface will also be filmed. It is ex­pected that the comparison will determine the similarities and differences in running performances in order to facilitate sufficient and appropriate exercise/aerobic training in Space. A biomechanical analysis will subsequently performed on the Space film sequences with the same procedures to be ap­plied to those obtained on earth. The technique begins with each frame being projected onto a digitizing screen and the location of each body joint (foot, ankle, knee, hip, shoulders, elbow, wrist and hand) accurately measured and saved under computer control. A proprietary transformation and kinematic analysis is performed on the digitized data to yield true image space joint displacement, velocity, and ac­celeration information. This information is then used to perform a kinetic analysis in order to determine the dynamic forces and moments acting on the subjects during the running activity. Bungie reaction forces were included in these calculations for the Space sequences. 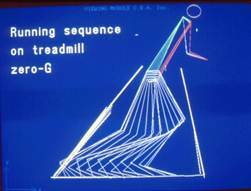 Film sequences of the running motions of the four astronauts will be performed in Houston on the treadmill and on normal ground surface. Data collection will be made at the convenience of the subjects. Biomechan­cial analysis and data quantification will be performed at the Coto Research Center in California. INVESTIGATORS: Gideon B. Ariel, Ph.D. M. Ann Penny, Ph.D. Thomas P. Moore, M.D. William E. Thornton, M.D. As part of this study, a rigid body dynamics model of the astronaut and the treadmill system has been evaluated. Although the analysis has not been applied to the early experiments reported here, it is presented to give better insight into the measured forces. Hopefully it can be incorporated into later studies to better describe the differences in one-G and zero-G experiments. 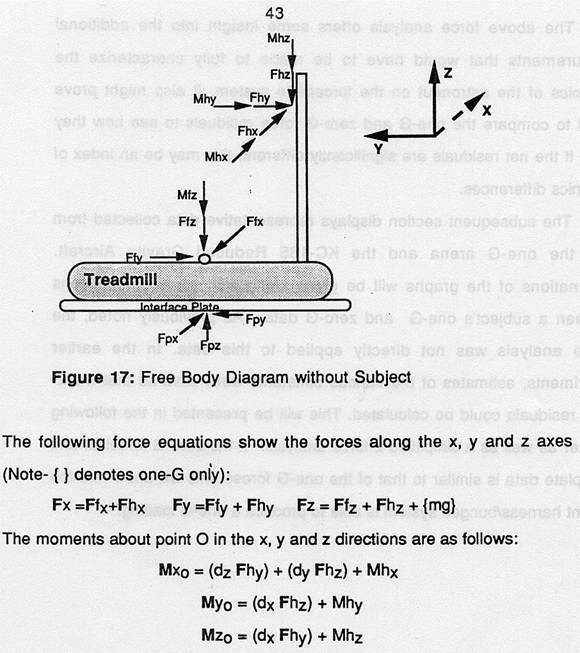 The forces existing between the force plate and interface plate are considered to be applied at a known point on the forceplate (point 0) as shown in the free body diagram (Figure 15). The forceplate was initialized without the subject (i.e. the weight of the treadmill and interface plate in one-G was tared). The brackets depict those forces that would only be seen in the one-G environment. If no forces or moments were exerted by the hands, it would be possible to use these equations to calculate the reaction forces at the foot (or feet) of the subject. Since there are typically forces at the hands, it would be necessary to add instrumentation to fully resolve the actual foot contact forces. Such a measurement may be appropriate for future work. The reason I shown some of the “free diagrams” is to show how complicated such a study can be. And for most to show that this was the first Biomechanical Study in Space. After these studies, many studies were conducted with NASA. In fact NASA decided to hire my company as an integrated research company to work directly with NASA. Here is part of the contract which consisted of many “legalistic” pages and not fit to this book. 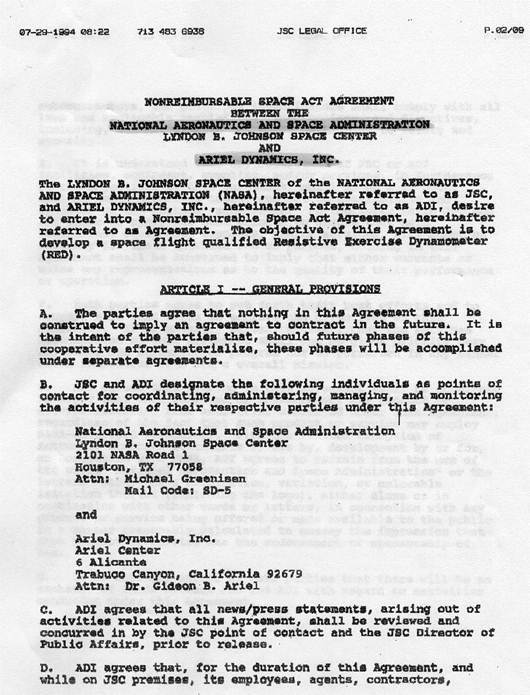 The LYNDON S. JOHNSON SPACE CENTER of the NATIONAL AERONAUTICS AND SPACE ADMINISTRATION (NASA), hereinafter referred to as JSC, and ARIEL DYNAMICS, INC., hereinafter referred to as ADI, desire to enter into 4 Nonrsimbursable Space Act Agreement, hereinafter referred to as Agreement. The objective ofthis Agreement is to develop a space flight qualified Resistive Exercise Dynamometer (RED). A. The parties agree that nothing in this Agreement shall be construed to Imply an agreement to contract in the future. It le the intent of the parties that, should future phases of this cooperative effort materialise, these phases will be accomplished under separate agreements. C.ADZ agrees that all news/press statements, arising out of activities related to this Agreement, shall be reviewed and concurred in by the JSC point of contact and the JSC Director of Public Affairs, prior to release. The person in charge of the research studies with ADI Inc. was Dr. Michael Greenisen. 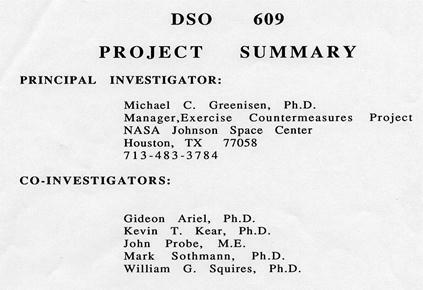 Dr. Greenisen was in charge of the Counter Measure research in NASA. In one of the early meeting with Dr. Greenisen and others in NASA I was asked to write a paper on the potential research studies that we at ADI could perform for NASA. The first paper I submitted was titled: Biomechanics Research in Space. Aerospace engineers are now calling for development of space as a new frontier. To accomplish safe flights and landing, we faced with great challenges. One of the biggest challenge is the human physiological machinery. The goal of the present project is to minimize the effects of deconditioning during spaceflight. Some of these effects are physiological and mechanical demands of microgravity is by deconditioning of the cardiovascular, musculoskeletal, and neuromuscular systems. Deconditioning produces a multitude of physical changes such as loss of muscle mass, decreases in bone density and body calcium; it is also responsible for decreased muscle performance, strength and endurance. Extravehicular activity (EVA) in space require the most physically demanding task that astronaut perform on orbit. Therefore, it is necessary to develop exercise programs as well as exercise device to countermeasure these effects. Biomechanics in space is fundamental to understanding the work performance capabilities of humans in space. Biomechanics as practiced by NASA has the primary goal to conducting operationally-oriented research focusing on maximizing astronaut on-orbit performance capabilities. All the biomechanical analysis integrate a high speed videography, EMG and force plates. 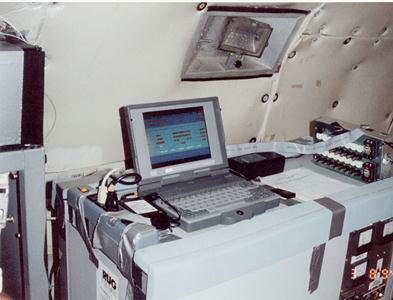 In addition, a computer controlled dynamometer is programmed to provide specific exercise prescriptions to the astronauts in order to maximize their muscular strength and endurance to perform the require tasks which analyzed by the integrated movement analysis. Aerospace engineers are now calling for development of space as a new frontier. They maintain that a high frontier in space can produce the same kind of boom conditions that existed for Europe after 1500 and for the United States during early days of its experience when an ever expanding West helped to produce a growing, spirited America. Specifically, space frontier can provide unlimited low-cost energy, available to everyone rather than just to those nations favored with large reserves of fossil or nuclear fuels. Provide unlimited new lands to provide living space of higher quality than that now possessed by most of the human race. And provide an unlimited materials source, available without stealing or killing or polluting. When Americans reflect on the space program, there are two events that stand out more prominently than others. The first moon landing and the Challenger disaster. The second event, the Challenger disaster, took the lives of seven astronauts, including the school teacher Christa McAuliffe, when the rocket boosters of the space shuttle exploded 73 seconds after lift-off on January 28, 1986. Neil Armstrong fixed the ultimate significance of his deed by what he said; Christa McAuliffe did the same by who she was. Armstrong, in the midst of a historic event, had the vision to say the right thing. McAuliffe, although a nonprofessional astronaut, had the vision to become part of the quest. We stand before a frontier of apparently infinite proportions. It constitutes perhaps the ultimate quest. As we proceed in this exploration, we are outfitted with the most sophisticated and rapidly expanding technologies the world has ever known. Authentic heroes have helped us to understand that "the right stuff" must be complemented with "the right reasons" when we undertake such a task. To accomplish the "right stuff" we faced with great challenges. One of the biggest challenge is the human physiological machinery. Man, having evolved as an upright, bipedal animal, cannot consciously take the rapid onset of acceleration that would be required for long distance space travel. Additionally, the physiological adaptations of a microgravity environment are poorly understood, and it can arguable be said that long term weightlessness results in significant post--flight deleterious changes that may be permanently debilitating. The goal of the present project is to minimize the effects of deconditioning during spaceflight using individualized exercise "prescriptions" and inflight exercise facilities combine with extensive biomechanical analysis of movement in microgravity. One of the ways the human body reacts to the reduced physiological and mechanical demands of microgravity is by deconditioning of the cardiovascular, musculoskeletal, and neuromuscular systems. Deconditioning produces a multitude of physical changes such as loss of muscle mass, decreases in bone density and body calcium; it is also responsible for decreased muscle performance, strength and endurance, orthostatic intolerance, and overall decreases in aerobic and anaerobic fitness. Deconditioning presents operational problems during spaceflight and upon return to 1-G. 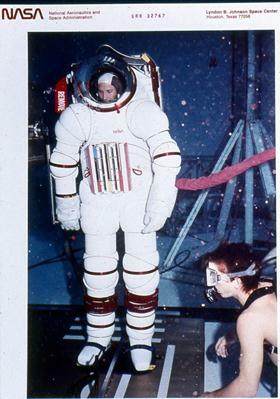 Muscular and cardiovascular deconditioning contribute to decreased work capacity during physically demanding extravehiculr activities (EVAs); neuromuscular and perceptual changes can precipitate alterations in magnitude estimation, or the so-called "input-offset" phenomenon; and finally, deceased vascular compliance can lead to syncopal episodes upon reentry and landing. Extravehicular Activity (EVA) is the most physically demanding task that astronauts perform on-orbit. Space Station Freedom and manned Lunar and Mars missions will greatly increase the number, frequency, and complexity of EVA's within the next 10 to 20 years. Countermeasures are efforts to counteract these problems by interrupting the body's adaptation process. Effective countrmeasures will assure mission safety, maximize mission success, and maintain crew health. 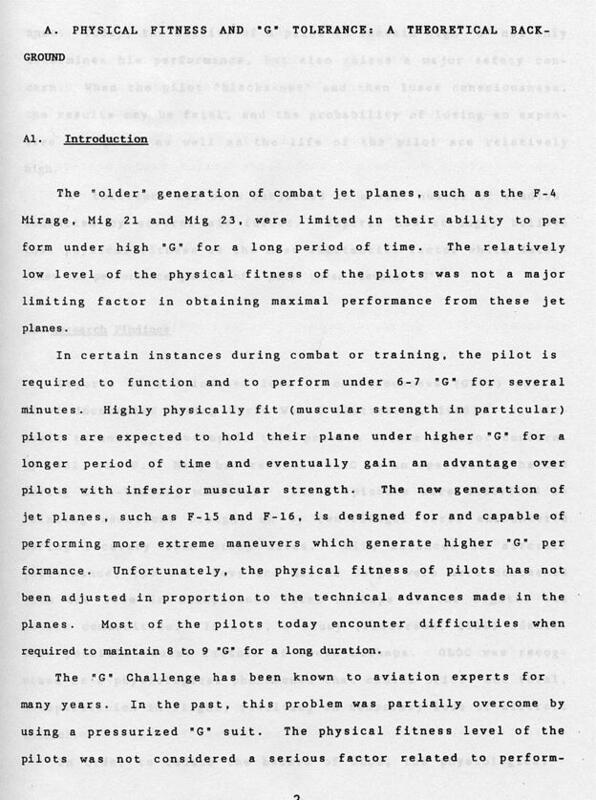 Results from experiments on the Gemini, Apollo, and Skylab missions suggest that regular exercise is helpful in minimizing several aspects of spaceflight deconditioning (7,9,10). In fact, exercise is the only countermeasure that can potentially counteract the combined cardiovascular, musculoskeletal and neuromuscular effects of adaptation. The purpose of biomechanical analysis in space is to provide a program of exercise countermeasures that will minimize the operational consequences of nhicrogravity-induced deconditioning. 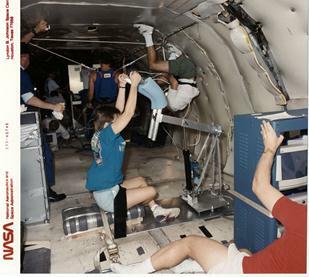 Biomechanical analysis of movement in space will provide individualized exercise "prescriptions" for each crew member to optimize required tasks in microgravity environment. Through characterizing the tasks requirement in the musculoskeletal and neuromuscular systems induced by microgravity, develop training protocols to address deconditioning in these systems that will serve as the basis for training prescriptions. To achieve these training protocols it is necessary to develop flight exercise hardware and associated software related to biomechanical measurement devices. 1.What type of exercise devices such as weight training, bicycling, rowing, swimming, running, etc. are necessary to train all of the organ systems affected by deconditioning? 2.Which indices are the most reliable indicators of changes in fitness? 3.Which reliable indicators of changes in fitness best describe the changes caused by deconditioning? 4.How does training in microgravity differ from training in 1-G ? 5.What are the differences between training that includes impact forces and training that uses non-impact forces? 6.Can an artificial intelligence expert system be developed to aid in monitoring, controlling, and adjusting prescriptions? 7.How does inflight exercise training affect the adaptation process? 8.Which muscle groups are critical in the performance of egress, landing, and EVAs? 9.Which of the indicators of miinicrogravity-inducedhange in muscle function can be correlated with possible difficulty in performing egress, landing, and EVAs? These are few of the questions to be answer to understand the possible countermeasures to be efficient. Identify and analyze tasks by mission. Focus studies to examine the functions of upper extremities during space flight. Integration of Biomechanics and Physiology to fully understand "the complete picture." Examine the use of power tools to enhance performance and reduce fatigue of the crew members. Compare the use of a robotic hand to EVA crew interaction. Investigate "tweaking" existing tools to a give a greater mechanical advantage. Use of the prediction of work and tools required to perform a given task. What jobs/tasks are needed on orbit? What are the energy expenditures for on orbit activity. Comparison of perceived target accuracy and spatial orientation to actual target accuracy and spatial orientation. Comparison of gross tasks to fine motor control. Quantify performance of metabolism, muscles, forces, etc. operations vs. those of medical science. Evaluation of muscle, EMG, etc. of crew members. Evaluation of hormones and metabolic information. Investigation of hardware issues such as the development of a universal tool. Integration of protocols including recovery, strength, power, endurance, and frequency. 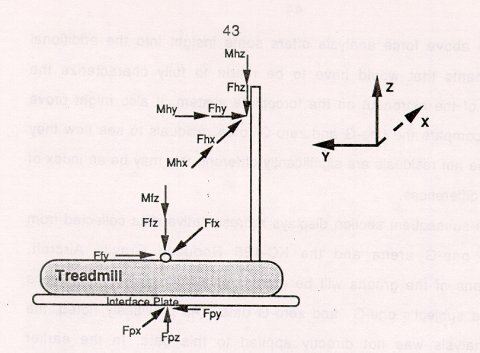 Development of work related tests incorporating dynamometers, force plates, etc. definition of specified joint axes. Investigation into the use of a robot glove as an extension of the space suit. Development and use of a flight qualified dynamometer and determination of what information should be measured (i.e. power, endurance, etc.). Development of an immediate recovery dynamometer to measure post-flight crew strength. One of the first biomechanical project underway at the present time is to investigate landing and normal egress. 1.Identify the normal biomechanical and kinematic requirements of landing and walk-out of shuttle egress using video motion analysis. 2.Identify specific tasks associated with individual crewmembers during ELE. 3.Quantify the forces of gait during normal walk­out egress. 4.Suggest physiological parameters that might be tested in a laboratory that may mimic tasks that are performed during landing and normal walk-out egress. 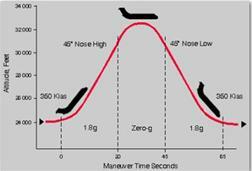 The following is one of the biomechanical studies to evaluate landing and normal egress. ABSTRACT: This study requires using the astronauts preflight; during egress training, and postflight; during landing, (out of seat egress) and during normal exit from the shuttle to a ground level. A total of ten (N=10) manifested astronauts are requested, five Pilots and 5 Mission Specialists, to participate so that comparisons can be made on post mission walk-out performance. during landing and egress tasks. This base investigation shall be further expanded to evaluate ground based emergency egress of volunteer subjects and counermeasure interaction and effectiveness on egress performance of astronaut crewmembers. 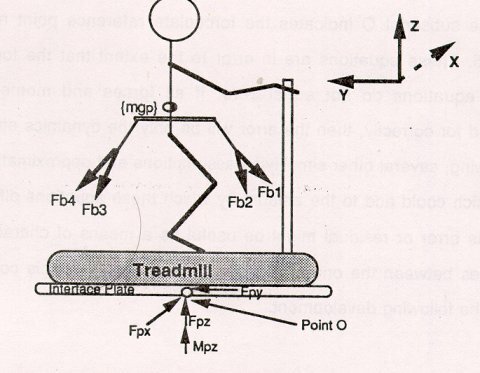 Another task :is to design an exercise dynamometer to be able to exercise and analyze muscle functions and efficiencies. The goal is to utilize biomechanical research to utilize the most efficient means to counteract the effect of deconditioning in space. Fitness technology, in both theory and practice, exhibits two problems common to many modern, rapidly emerging disciplines. First, a lack of clearly defined and commonly accepted standards has resulted in a marketplace rife with conflicting claims and approaches to both attaining and maintaining fitness. In general, both vendors and consumers of fitness technology have been unable to provide a sound scientific answer to the simple question, "Are we doing the right thing?" Second, a lack of the proper tools and techniques for measuring fitness and the effectiveness of a given technology to the attainment of fitness has made it quite difficult to evaluate existing products in order to select the ones that really work. The flexibility of performing exercises and diagnostics in isotonic, isokinetic, isometric, accommodating velocity at variable loads as well as accommodating resistance at variable speeds or any combination of these exercise controlled modes. The ability to perform exercises and diagnostics from a pre-programmed sequence of tests and exercises stored on disk. The investigator can prescribe for object, testing and rehabilitation programs from a library of specialized programs or create specific protocol tailored for that subject. To offer user-friendly, menu-driven software packages which can be easily learned and are simple to operate. Allows for data transfer to other commercial or custom software packages for extraordinary graphing, data report formats, statistical analysis, etc. Allow for external analog data acquisition that can be correlated with the acquired force curves such as E.M.G. data and load cells. All dynamometer functions can be controlled or monitored either from the keyboard, hard disk storage, or a remote location, via telephone modem and satellites. The ability to simulate real task activities for comparison of strength and endurance in 1 and 0 Gs. All exercise program variables, such as intensity, frequency, duration, sets, work load, percent fatigue, can be controlled and changed from the control keyboard or by remote modem. The software is an artificial intelligence expert system that monitors, controls and adjusts prescriptions according to the measured output of the exerciser. A standard hydraulic cylinder is attached to an exercise bar by a mechanical linkage. As the bar is moved, the piston in the hydraulic cylinder moves pushing non inflammable liquid out of one side of the cylinder, through a valve, and back into the other side of the cylinder. When the valve is fully open there is no resistance to the movement of the liquid and thus no resistance to the movement of the bar. As the valve is closed, it becomes harder to push the liquid from one side of the cylinder to the other and thus harder to move the bar. When the valve is fully closed, liquid cannot flow and the bar will not move. In addition to the cylinder, the resistance mechanism contains sensors to measure the applied resistance mechanism contains sensors to measure the applied force on the bar and the motion of the bar. Now assume the valve is at some intermediate position and the bar is being moved at some velocity with some level of resistance. If the computer senses that the bar velocity is too high or that bar resistance is too low, it will close the valve by a small amount and then check the velocity and resistance values again. If the values are not correct, it will continue to close the valve and check the values until the desired velocity or resistance is achieved. Similarly if the bar velocity is too low or the bar resistance is too high, the computer will open the valve by a small amount and then recheck the values. This feedback loop will continue with the valve being opened by small amounts until desired velocity or resistance is achieved. The feedback cycle occurs hundreds of times a second so that the user will not experience perceptible variations from the desired parameters of exercise. hydraulic mechanism provides resistance only when the user pushes or pulls against it. The user may stop exercising at any time, such as during rehabilitation if pain or discomfort is experienced, and the exercise bar will remain motionless. Another advantage is that of bidirectional exercise. the hydraulic mechanism can provide resistance with the bar moving in either direction. 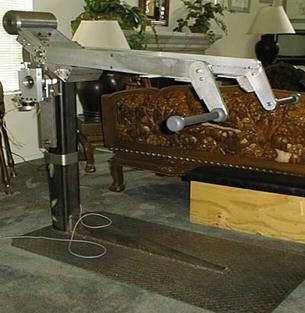 This computer controlled exercise device has been designed to consider every movement or exercise performed by a user to be a pattern of continuously varying velocity or resistance. This pattern may be set using direct measurement of subject motion by the system, it may be copied from the results of performance analysis, or the pattern may be "designed" or created by the user or practitioner as a goal of training or rehabilitation. Exercise patterns are stored in computer memory and can be recalled and used each time a subject trains. 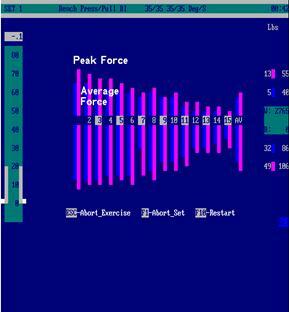 During exercise, the computer uses the pattern to adjust bar velocity or bar resistance as the subject moves through the full range of motion. In this manner, the motion parameters of almost any activity can be really duplicated by the exercise system. Thus, assessment, training, or rehabilitation may be performed using the same pattern as the activity itself. The value of applying the principles of biomechanics to the assessment of fitness in space has been clearly demonstrated. Performance analysis provides the means to quantify human activity and to provide insight into the mechanisms that contribute either to superior or inferior levels of performance. At the same time, it has been shown that fitness technology has been presented that permits exercise and countermeasure means patterns to biomechanically duplicate the target activity. The integration of movement analysis with measurements such as E.M.G. activity with forces measured in load cells and force plates allow to analyze the astronauts in various gravitational conditions and allow the design of optimal technique and equipment to optimize space missions. Another paper I submitted entitled: Biomechanics in Space. Aerospace engineers and many biological scientists perceive Space as the new, and last, frontier. Although there are extensive technological considerations in hardware instrumentation, perhaps the greatest challenge is understanding and solving the complexities of the anatomical, physiological machinery of the human in Space. The goal of those involved with Exercise Countermeasures research is to minimize the effects of deconditioning during spaceflight. Microgravitional experiences have produced a multitude of physical changes including loss of muscle mass, decrease in bone density and bone calcium, and decreased muscular performance, strength, and endurance. Extravehicular activity (EVA) in Space requires physically demanding performance. Therefore, additional attention must be directed at develop exercise programs and devices to enable the astronaut to perform properly under those demanding conditions. Biomechanical consideration of task analysis and efficiency requirements, modeling, space suit assembly, zero-G effects, and other EVA needs are important operationally-oriented research goals. The purpose of biomechanical analysis in space is to provide a program of exercise countermeasures that will minimize the operational consequences of microgravity­induced deconditioning. Biomechanical analysis of movement in space will provide individualized exercise "prescriptions" for each crew member to optimize required tasks in microgravity environment. Through characterizing the tasks requirement in the musculoskeletal and neuromuscular systems induced by microgravity, develop training protocols to address deconditioning in these systems that will serve as the basis for training prescriptions. 9.9. Which of the indicators of microgravity-induced change in muscle function can be correlated with possible difficulty in performing egress, landing, and EVAs? 10.These are few of the questions to be answer to understand the possible countermeasures to be efficient. 12.Identify and analyze tasks by mission. 13.Focus studies to examine the functions of upper extremities during space flight. 15.fully understand "the complete picture." 16.Examine the use of power tools to enhance performance and reduce fatigue of the crew members. 17.Compare the use of a robotic hand to EVA crew interaction. 18.Investigate "tweaking" existing tools to a give a greater mechanical advantage. 19.Use of the prediction of work and tools required to perform a given task. 20.What jobs/tasks are needed on orbit? 21.What are the energy expenditures for on orbit activity. 22.Comparison of perceived target accuracy and spatial orientation to actual target accuracy and spatial orientation. 23.Comparison of gross tasks to fine motor control. 24.Quantify performance of metabolism, muscles, forces, etc. 26.operations vs. those of medical science. 27.Evaluation of muscle, EMC, etc. of crew members. Evaluation of hormones and metabolic information. Video cameras and force plate instrumentation will record simulated tasks associated to landing and egress during normal training in the high fidelity mockup. During training, crew will be video recorded as they perform the actual tasks that will be idiospecific to their flight tasks. Normal, walk-out of orbiter, egress will also be video recorded, however, specifying that the first 3-4 steps on level ground be done on the Force Plate for force patterning and gait analysis. At landing, video cameras in the orbiter will record landing procedures in upper and middecks and for out of seat egress. Additional video cameras will also record normal walk-out egress from the orbiter with the first 3-4 steps on level ground being done on the Force Plate. This study is the first of several studies to scientifically quantify the forces, movement patterns, center of gravity and force velocities of motion during landing and egress tasks. This base investigation shall be further expanded to evaluate ground based emergency egress of volunteer subjects and counermeasure interaction and effectiveness on egress performance of astronaut crewmembers. exercise. the hydraulic mechanism can provide resistance with the bar moving in either direction. 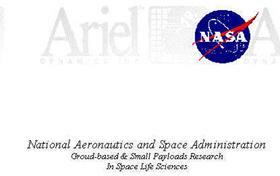 These two papers resulted in number of studies in NASA utilizing the APAS System. Video based motion analysis systems are widely used to study human movement. These systems use computers to aid in the capturing, storing, processing, and analyzing of video data. One of the errors inherent in such systems is that caused by distortions introduced by the camera and lens. Wide-angle lenses are often used in environments where there is little room to position cameras to record an activity of interest. Wide-angle lenses distort images in a somewhat predictable manner. Even "standard" lenses tend to have some degree of distortion associated with them. These lens distortions will introduce errors into any analysis performed with video-based motion analysis systems. 1. Develop the methodology to evaluate errors introduced by lens distortion. Video-based motion analysis systems are widely employed to study human movement, using computers to capture, process, and analyze video data. This video data can be collected in any environment where cameras can be located. Many more studies were performed utilizing the APAS system and some of the parameters that were discussed in my papers. 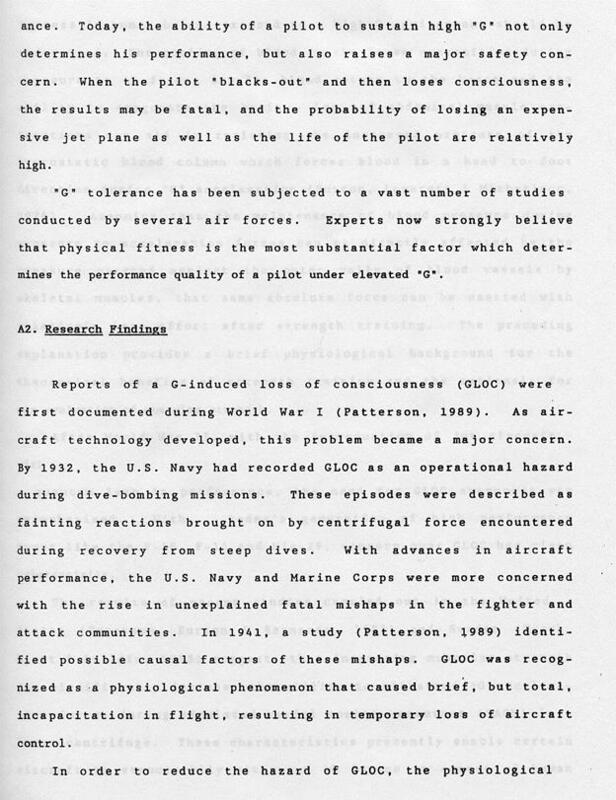 Some of the studies had to be performed on the KC-135 plan that simulate Zero Gravity. 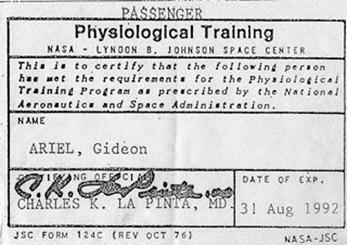 For that, I had to go through space flight training that consists of “De Compression”; Performance under low oxygen environment. Awareness test in Zero Gravity environment, and some more tests. This was 3 days tests performance and written. There were 8 potential Astronauts in the group and some other research scientists that train to fly in the KC-135. The KC-135 also called the Vomit Comet….. Vomit Comet is a nickname for any fixed-wing aircraft that briefly provides a nearly weightless environment in which to train astronauts, conduct research and film motion pictures. Versions of such airplanes have in the past been operated by NASA Reduced Gravity Research Program where the unofficial nickname originated. NASA has adopted the official nickname Weightless Wonder for publication. The aircraft gives its occupants the sensation of weightlessness by following an (approximately parabolic) elliptic flight path relative to the center of the Earth. While following this path, the aircraft and its payload are in free fall at certain points of its flight path. The aircraft is used in this way to demonstrate to astronauts what it is like to orbit the Earth. During this time the aircraft does not exert any ground reaction force on its contents, causing the sensation of weightlessness. Initially the aircraft climbs with a pitch angle of 45 degrees. The sensation of weightlessness is achieved by reducing thrust and lowering the nose to maintain a zero-lift angle of attack. 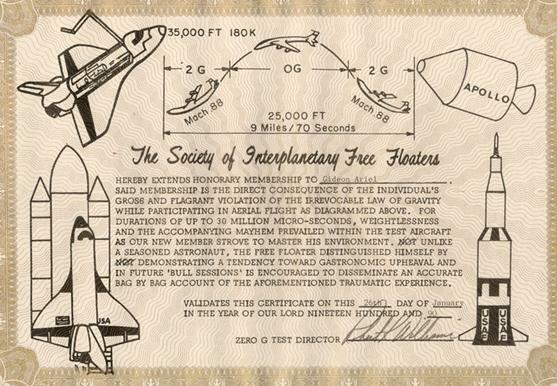 Weightlessness begins while ascending and lasts all the way "up-and-over the hump", until the craft reaches a declined angle of 30 degrees. At this point, the craft is pointed downward at high speed, and must begin to pull back into the nose-up attitude to repeat the maneuver. The forces are then roughly twice that of gravity on the way down, at the bottom, and up again. This lasts all the way until the aircraft is again halfway up its upward trajectory, and the pilot again initiates the zero-g flight path. This aircraft is used to train astronauts in zero-g maneuvers, giving them about 25 seconds of weightlessness out of 65 seconds of flight in each parabola. In about two thirds of cases, this motion produces nausea due to airsickness, especially in novices, giving the plane its nickname. To date I am very proud of this achievement. And now I was qualified to run additional tests for NASA aboard the KC-135. One of the studies was the effect of the astronaut suit on his mobility. 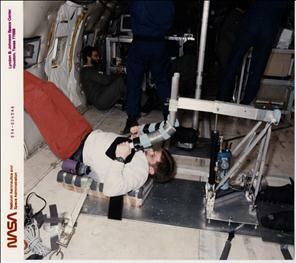 We had to simulate number of flights on the KC-135 and than measure kinematic parameters demonstrated by the Astronauts. Principal Investigator: Michael C. Greenisen, Ph.D.
Co-Investigators: Gideon B. Ariel, Ph.D. This study is the first of several studies to scientifically quantify the forces, movement patterns, center of gravity, limb acceleration and force velocities of motion during landing and egress tasks. This base investigation of normal egress shall be further expanded to evaluate ground-based emergency egress of volunteer subjects. Other investigations will be added to include the effect of countermeasure interaction and effectiveness on volunteers egress performance time and that of astronaut crewmembers. It is well established that effective application of exercise counter measures requires the exercise be applied specifically. The problem is that objective scientific evidence is not available to validate which specific counter measures are most effective in support of egress. The purpose of this study is to analyze the tasks (document the logical sequence of events from video recordings) for astronauts to accomplish Shuttle landing and normal egress. This task analysis will then be used to build a computer network model. 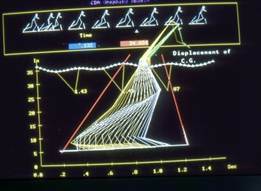 Forces required to accomplish events and the timing of event sequences for the computer model will be performed by biomechanical analyses. Astronaut performance on tasks for Shuttle landing and normal egress, video recorded before and after missions, will be compared. also provide information discerning critical issues facing the Exercise Countermeasures Project for the development of appropriate countermeasure protocols and hardware. accomplish Shuttle landing and normal egress. The activities required to accomplish events and the timing of event sequences will be documented by kinematic analyses. requested with four subjects per STS flight. Furthermore, one commander and the three crewmembers at seats MS1, MS2, and MS3 are requested to participate. 1.Preflight during simulated entry, landing and normal egress in a simulator. 2.Postflight during actual entry, landing and normal walk-out egress. 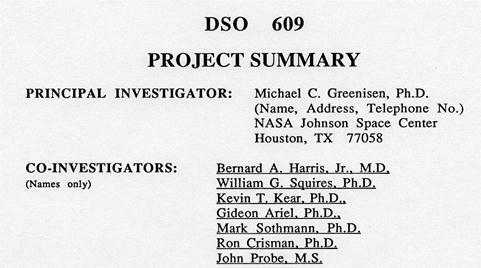 A total of eight assigned astronauts (n=8) are requested to participate in this investigation. plates to determine force patterning for gait analysis. After Shuttle missions, crewmembers will be video recorded while performing actual flight tasks associated with entry, landing and normal egress, identical to Phase 1.
, Vol. 4: pp. 79-85, 1987.Sports Medicine Dudley, G. and Fleck, S. "Strength and endurance training: Are they mutually exclusive?" , Vol. 52: pp. 139-155, 1984.European Journal of Applied Physiology McDonaugh, M. and Davies, C. "Adaptive response of mammalian skeletal muscle to exercise with high loads." , Vol. 47: pp. 1056-1060, 1976.Aviation, Space, and Environmental Medicine Rummel, J.A., Michel, E.L., Sawin, C.F., and Buderer, M.C. "Metabolic studies during exercise: the second manned mission." , Vol. 12: pp. 33-37, 1969.ErgonomicsAriel, G.B. "The effect of knee joint angle on Harvard Step Test performance." , Vol. 32: pp. 795-797, 1972.Journal of Applied PhysiologyAriel, G.B. "Effect of anabolic steroids on reflex components." , Vol. 4: pp. 124-126, 1972.Medicine and Science in SportsAriel, G.B. and Saville, W. "Anabolic steroids: physiological effects of placebos." , Vol. 13: pp. 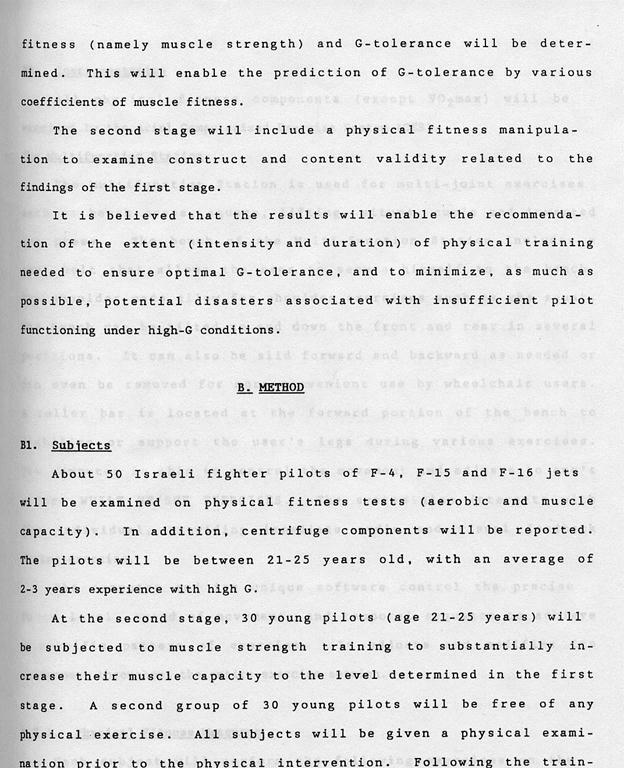 187-190, 1973.Journal of Sports Medicine and Physical FitnessAriel, G.B. "The effect of anabolic steroid upon skeletal muscle contractile force." , Vol. 6: pp.62-64, 1974.Medicine and Science in SportsAriel, G.B. "Prolonged effects of anabolic steroid upon muscular contractile force." , Vol. 45: pp. 72-79, 1974.Research QuarterlyAriel, G.B. "Method for biomechanical analysis of human performance." , Jyvaskyla, Finland, pp. 5, 1975.Vth International Congress of Biomechanics AbstractsAriel, G.B. "Computerized biomechanical analysis of athletic shoe." , Vol. 11: pp. 61-62, 1980.Applied ErgonomicsAriel, G.B. "Human movement analysis." , Vol. 2 (1): pp. 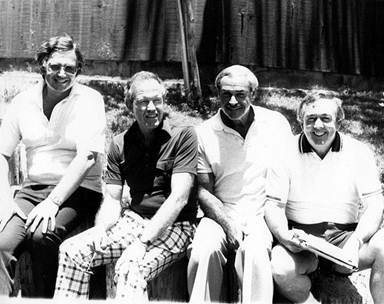 55-69, 1983.Clinics in Sports MedicineAriel, G.B. "Resistive Training." , Vol. 14(1): pp. 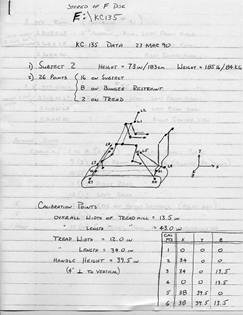 18-23, 1986.American Journal of Sports MedicineWolf, S. L., Ariel, G. B., Saar, D., Penny, M.A., and Railey, P.A. "The effects of muscle stimulation during resistive training on performance parameters." , 1980.Nuclear Instruments and MethodsJensen, D. Kreisler, M., Lomanno, F., Poster, R., Rabin, M., Smart, P. Wise, J, and Dakin, J. "A Computer Controlled Pulser System." , Vol. 23, No. 4: pp. 546, 1978.Bulletin of the American Physical SocietyWise, J., Jensen, D., Kreisler, M., Lomanno, F., Poster, R., Rabin, M., Way, M., and Humphrey, J. "A High Statistics Study of Lambda Beta-Decay." , Vol. 23, No. 4: pp. 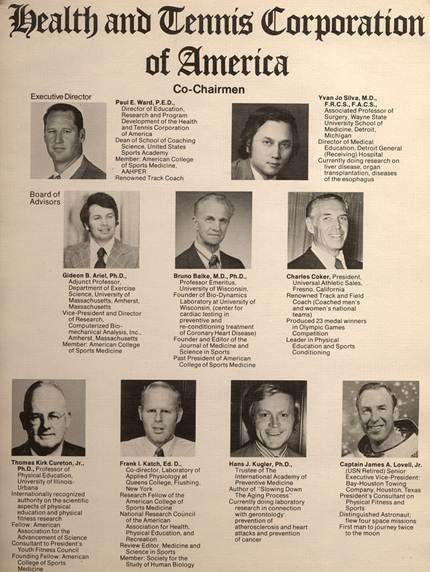 600, 1978.Bulletin of the American Physical SocietyLomanno, F., Jensen, D., Kreisler, M., Poster, R., Rabin, M., Way, M., Wise, J., and Humphrey, J. "Measurement of Polarization in Inclusive Lambda Production at 28.5 Gev/c." , Vol 40: pp. 1866, 1972.American Journal of PhysicsWise, Jeremy "Holography on a Low Budget." 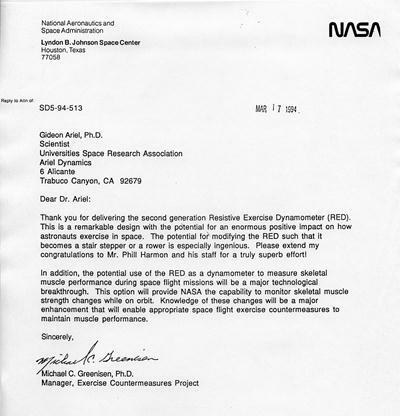 This extensive proposal was accepted by NASA and we constructed the Resistance Exercise Dynamometer as approved by Dr. Greenisen the director of the Counter Measure Project. As a NASA support contractor I have been asked to assess the feasibility of including your Complete Analysis System in the Life Sciences module of Space Station Freedom. The datasheet/price list I have, however, is dated May 15, 1987. I would appreciate it if you could FAX me your latest price listing as well as any other information on this system that may have, changed since then so I can complete my evaluation with current data. Our FAX number is 713/488-1092. Thank you for your assistance. first generation prototype to fruition. 2) Fly equipment o.. board NASA's KC-135 Aircraft, for engineering analysis, during actual three dimensional zero gravity achieved by flying parabolic maneuvers. 3) Write Detail3d Technical Objective (DTO) for space flight engineering perfrmance evaluation. 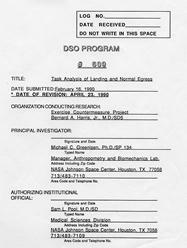 4) Target fight date for Resistive Exercise DTO on STS-66, Launch Date 06 October 1994. Thank you for delivering the second generation Resistive Exercise Dynamometer (RED). This is a remarkable design with the potential for an enormous positive impact on how astronauts exercise in space. The potential for modifying the RED such that it becomes a stair stepper or a rower is especially ingenious. Please extend my congratulations to Mr. Phill Harmon and his staff for a truly superb effort! We at ADI were working very hard to build the Computerized Exercise Machine for NASA. In NASA they called this machine the RED stands fro Resistance Exercise Dynamometer. There was a date for demonstration of the device. The following Workshop was scheduled to discuss the advantages and disadvantages of the new device that we invented and modified for NASA use. 1.Muscular activity and its relationship to biomechanics and human performance . Weightlessness and the human skeleton: A new perspective . W. G. Kubicek, Ph.D. and R. A. Tracy, Ph.D.
James A. Pawelczyk, Ph.D. and Peter B. Raven, Ph.D.
Eccentric exercise testing and training . Electrical stimulation in exercise training. Exercise and osteoporosis: Methodological and practical considerations . The National Aeronautics and Space Administration's continuing goal is to explore the far reaches of the galaxy and universe. With the success of the Space Transportation System and advanced astrological observations, mankind's desire to explore is limitless. However, at the very core of this journey the question is raised, "Can man survive in space?" This certainly not new and has been asked since the onset of the manned space-flight program. Numerous biomedical investigations from the United States and Russian space programs make up the foundation for our knowledge of space-flight physiology. These studies support the hypothesis that the human body can adapt to any environment, even microgravity. Even though the process of space adaptation is a natural phenomenon, it presents special problems to human performance and long-term survival. If humans were to adapt to a particular microgravity environment and remain in space, the problems in physiological performance would be predictable. Unfortunately, this is not the case. Astronauts and cosmonauts will be required to adapt to many different environments on their travels into space. One example of this would be a trip to Mars. Crewmembers will begin on Earth in a one-g environment, launch into space and stay for a time in a microgravity environment, and then land on Mars that has one third of the gravitational force of the Earth. During the entire mission, crewmembers will be required to maintain an adequate level of proficiency for contingency and/or emergency procedures. The challenge to life sciences is clear-maintain crew health, performance, and safety in all environments. 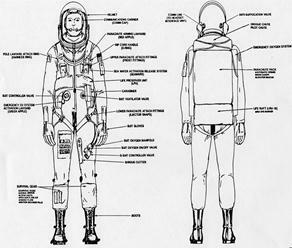 The tasks are many: (1) understanding how various gravitational fields effect the human body; (2) identifying those changes that will significantly affect crew health and retard crew performance; (3) developing measures to those adverse alterations; and (4) ensuring the appropriate response of the countermeasures, i.e., efficacy. 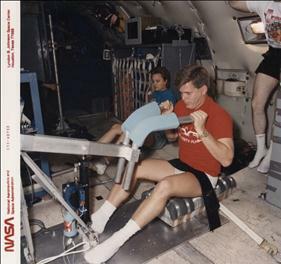 For many years now, both the United States and Russian programs have extensively used a number of countermeasures to maintain the crew's health and fitness, the premise that maintaining crew fitness results significantly in reducing the adverse effects of prolonged exposure to a microgravity environment. These effects vary from the onset of orthostatic intolerance following short-term space flight to the development of bone demineralization following long-term space flight. One thing is clear and that is the variable gravitational fields and the numerous translations found during space travel underscore the need to be prepared for all contingencies. Only the most trained and fit crewmembers will be prepared for these types of environments. The countermeasure used most effectively in flight is exercise. Data from numerous ground-based and in-flight studies have shown the benefits of using exercise to mitigate the effects of a microgravity environment on the adaptation of the major human physiological systems. These studies have led to the development of exercise countermeasures for space flight. However, much more knowledge needs to be gained before exercise can be used effectively and efficiently. For example, recent studies on aerobic conditioning of astronauts in flight have shown a dramatic decrease in heart rate while running on a treadmill in flight when compared to the same activity performed in one g. The study suggests that the basic characteristics of exercise to near maximum effort, particularly in-flight running, may be quite different. Extrapolating from this, other exercise modalities may be different when carried out in a rnicrogravity environment and, perhaps, other variant gravitational fields. Space Adaptation with Exercise: Current Issues," included topics on: bone demineralization, aerobic fitness and orthostatic tolerance, cardiovascular deconditioning, concentric versus eccentric exercise training, electrical stimulation, biomechanics of movement in a microgravity environment, detraining, the effects of exercise response and rehabilitation, and psychophysiology of exercise and training. The goal of this workshop was to explore those issued related to the application of countermeasures to increase overall understanding and gain insight into the use of these countermeasures in our nation's space program. Bernard A. Harris, 'jr MD. maintain crew health.and assure mission safety, maximize mission success, are efforts to counteract these problems by interrupting the body's adaptation process. Effective countermeasures will Countermeasures Deconditioning presents operational problems during spaceflight and upon return to 1-g. Changes in the sensory system during adaptation to microgravity can cause motion sickness during the first few days in flight; muscular and cardiovascular deconditioning contribute to decreased work capacity during physically demanding extravehicular activities (EVAs); neuromuscular and perceptual changes can precipitate alterations in magnitude estimation, or the so-called "input-offset" phenomenon; and finally, decreased vascular compliance can lead to syncopal episodes upon reentry and landing. The Exercise Countermeasures Project will systematically examine the effectiveness of exercise in retarding or preventing the deleterious effects of space adaptation. It will define the specific effects of exercise on the cardiovascular, musculoskeletal, and neuromuscular systems, and characterize the body's responses to exercise in 1-g and in microgravity. Specifically, the ECP will provide individualized exercise prescriptions that will improve (pre-flight), maintain (inflight) and regain (post-flight) aerobic and anaerobic fitness, orthostatic tolerance, muscular performance (including ligament and tendon strength and elasticity), bone demineralization, and body composition. The ECP will also design and build interactive inflight exercise facilities consisting of exercise devices and physiological monitors that will provide feedback to the exercising subject. suggest that regular exercise is helpful in minimizing several aspects of spaceflight deconditioning (7,9,10). In fact, exercise is the only countermeasure that can potentially counteract the combined cardiovascular, musculoskeletal and neuromuscular effects of adaptation. The next section begins with the critical questions that will drive the Project's investigations. Next follow outlines of the approaches to be used in Science, Operational, and Technological Investigations, with accompanying timelines. Finally, after these outlines, an organizational chart and capsule laboratory descriptions describe the structure of the ECP. The ECP brings rich multidisciplinary resources to these investigations. Project members include researchers in physiology, biomechanics, bioengineering, and artificial intelligence (see Laboratories of the ECP). Each discipline contributes to science, operational, and technological investigations: and each plays a role in achieving project goals. comprise development of prototype exercise hardware and software, and exploration of new techniques of measuring and monitoring physiological parameters.Technological Investigations will apply results from the Science Investigations to developing exercise prescriptions that will address operational concerns. Operational investigations Science, operational, and Technological Investigations are closely interrelated, and heavily interdependent. Science Investigations lay the groundwork for assuring the effectiveness of countermeasures: These investigations will clarify the specific physiological effects of deconditioning on the human body: they will establish the differences between the body's responses to exercise in 1-g and its responses in microgravity: and they will establish biomechanical requirements for performing critical mission tasks. The next section, "Critical Questions," asks more detailed questions within this framework. These critical questions will drive the development of ground-based and inflight investigations. These investigations have been divided into 3 broad categories: Science (includes limited basic research): Operations (includes development of countermeasures that address specific needs in flight: and Technology (designing and building necessary hardware and software). maintain effective levels of performance? * How do these changes affect crew performance? tasks (egress, landing, EVA/IVA, return to flight status)? organ systems affected by deconditioning? 2A-1 Which indices are the most reliable indicators of changes in fitness (e.g., muscle fiber typing, lung volumes, muscle performance characteristics; see Table 2)? Are they equally reliable in 1-g and in microgravity? 2A-2 How do indices of fitness differ in microgravity with respect to 1-g norms? Are these differences significant? 2A,2C-1 How can microgravity-induced changes in specific muscle groups best be quantified? 2A-4 Which reliable indicators of changes in fitness best describe the changes caused by deconditioning? 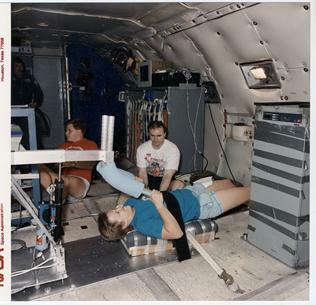 2B-6 Can classic analogues of microgravity (bedrest, neutral buoyancy, parabolic flight) be used to simulate physiological changes in fitness in true 0-g? Are there differences in physiological adaptation to microgravity over time (i.e., with increasing flight duration)? 2C-3 How do changes in muscle functioning interact with changes in orthostasis and perception? 2D-7 Does the rate or type of deconditioning change with repeated exposure to microgravity? 3B-1 How does training in microgravity differ from training in 1-g? 3A,B,C-3What effect does changing variables in a training protocol (such as duration, intensity, frequency, etc.) have on longterm fitness? 3A-1(KSC)What are the differences between training muscle groups using eccentric contractions vs using concentric contractions? 3B-4 What are the differences between training that includes impact forces and training that uses nonimpact (torsional) forces? 3D-1 What are the physiological and psychological changes that accompany overtraining? 3D-2 Is overtraining expressed differently in microgravity than in 1-g? 3D-3 Which physiological or psychological variables might be predictive of overtraining? aid in monitoring, controlling, and adjusting prescriptions? 2-2 How does initial fitness level (with or without preflightmission? performing egress, landing, and EVAs? 3-1 How can exercise be used to enhance rapid reconditioning? training) affect the rate and type of deconditioning? 5C-x. Can the expert system detect physiological changes and readjust the prescription as training (or detraining) progresses? 5c-x. How does the inflight expert system compare to the groundbased expert system and to the human examiner? 1-1 Which commercially available exercise devices can be modified for use in flight? 1.2-1 Are such devices physiologically, biomechanically, and mechanically effective in microgravity? 2-1 Which commercially available monitoring and measurement devices can be modified for use in flight? Therefore, for this meeting I used Maple Syrup for the medium which provide the resistance. “What?? ?” most of the people in the conference jumped from their chair to hear such a crazy idea. This was the time where I have told them that you can use any liquid to have as a medium, and I chose to use Maple Syrup. They all were laughing and the few persons who just came to critique were quiet for the rest of the conference time. The following are some photos from working on the designed machine at the KC-135 Zero Gravity Plan. After number of flights and testing the following report was published on the effectiveness of the RED machine designed by ADI, Inc.
Re: Unsolicited Proposal For Using The Ariel Dynamics Inc.. Exercise and Analysis Dynamometer and Software System As An In/Flight, 0-6, Exercise Dynamometer System. Gideon Ariel, Ph.D- Company Chief Executive Officer, Inventor and Founder. Jeremy Wise, Ph.D.- Chief Programmer and Executive Officer of Software Systems Development. 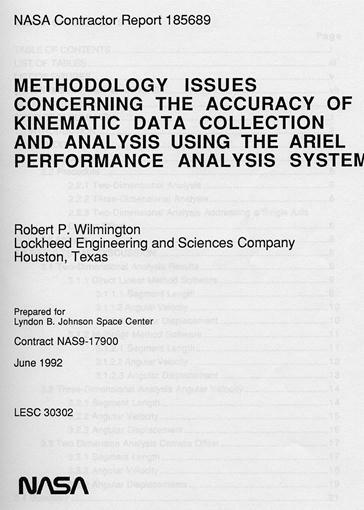 This document is an unsolicited proposal to present the case for the use of the Ariel Computerized Exercise System hereafter, for the purpose of this document, referred to as CES dynamometer for consideration as an in-flight dynamometer system, for future O-G orbitor and space station missions. 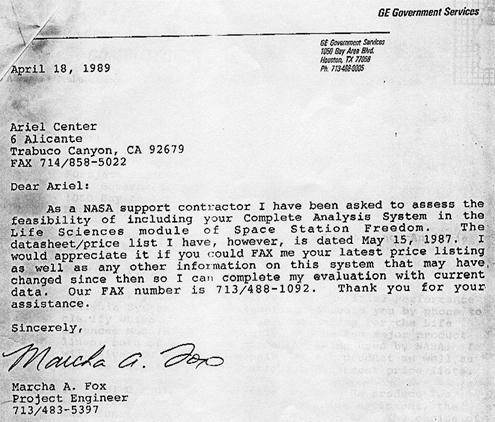 V.OPERATING SYSTEM [ a comparison of the CES to the NASA document, "Request For Quotation For A Prototype Dynamometer." Ariel Dynamics Inc. was incorporated on in 1969 as CBA Inc., for the purpose of developing and marketing the Ariel Dynamics Computerized Exercise Systems [CES]. Product development was begun in 1968, at the University of Mass., Amherst, using the University mainframe computer as an interface to a universal type Hydraulic (Isonetic) machine. The first commercial version was completed in 1974. The first machines were based on Data General mini computers. 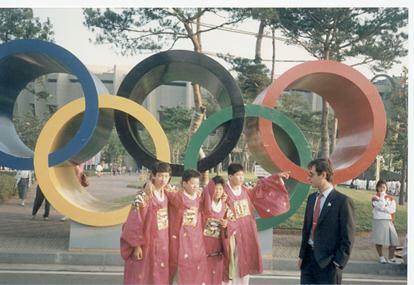 The instrument was used for individual evaluation of elite Olympic and professional athletes, many associated with the United States Olympic Committee, of which Dr. Ariel was chairman of the Biomechanics Committee. With the advent of the low cost microprocessors, in the late 1970's, the product was redesigned and introduced to the marketplace at a much lower cost, in 1980. Since that time, the Ariel CES is being utilized by physicians, physical therapists, hospitals, researchers, government agencies, product development companies, military organizations, universities, cardiac rehabilitation centers, medical schools and olympic organizations throughout the world. The information collected and reported by the Ariel [CES] is widely accepted by insurance companies, the medical community and the legal community when disability analysis is an issue in legal cases. The company is entering its 20th year of business with the current patented software and hardware design. Although the evolution of the software and hardware has undergone many improvements and revisions, the patented design concept of the internal resistive mechanism remains basically unchanged. The system hardware has proven to be field rugged and durable under a wide range of end user applications. The beauty of the resistive pack design is in its simplicity, with a total of six moving parts. The brain of the system, allowing for complex real time data acquisition and reporting and a wide range of end user exercise parameters, lies in the electronics package and software. The Ariel [CES] software represents the state-of-the-art in medical technology and research dynamometry. The Ariel system is the only system commercially available that automatically monitors, controls, and modifies resistance and velocity while the subject is exercising. It does this safely and efficiently by constantly adjusting itself to accomodate each person's unique capabilities or limitations. Ariel [CES] also provides extensive and accurate measurements of movement [Range of Motion], strength, and endurance with the capability for automatic storage and subsequent retrieval for comparison and analysis of the individual's performance. One of the persons on my staff was Moshe Lahave. Moshe was an Israeli pilot who was involved with the bombing of the Iraqi nuclear plant in 1981. He was considered as one of the best pilots in the World at the time. In fact, in one of his mission a missile knocked out one of the Wing on his F-4 fighter jet. Moshe was the only fighter pilot in the World that was able to land the plan with one wing. Moshe was begging me for years to take him to NASA to see the technologies there. However, there was a policy in NASA not to let Israeli pilots in. I discussed the matter with my friend Mike Greenisen who I worked with. He told me to bring Moshe, but at the entrance when questions for identification will come, for him to keep his mouth shut. 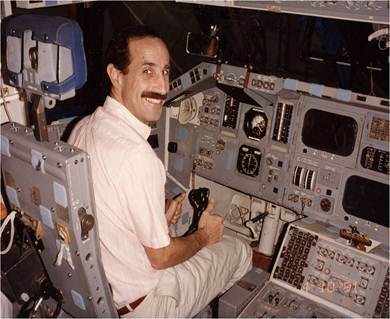 And this how Moshe got into NASA and in fact was visit with us on the Space Shuttle model. Moshe was supposed to be quiet and just follow us. But as an typical Israeli, he got to the wrong secure area and the horns start screaming all over the place. Thanks to Mike Greenisen he got us out of this mess. 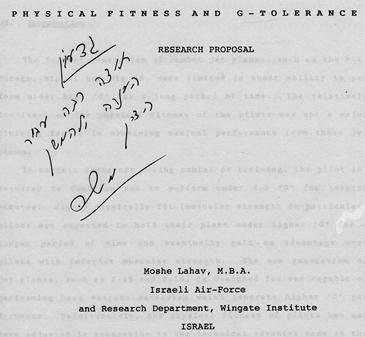 The reason that I am telling you about Moshe is that he was working on his Master Degree, investigating the multiple G-forces that effecting the fighter jet pilots in combat flight. From his study, the Israeli Air force purchased 30 of the Ariel Machines and trained the pilot to be able to sustain high G-Tolerance. So what was great for the Astronauts in 0-G gravitational environment was a great tool to increase the tolerance in high G environment. So, we accomplished both tasks and enjoy the associations with NASA and the Israeli Air Force. Generated on 4/20/2019 11:53:33 AM (PST) ADI/HQ/GBA/2019/ARIELCLOUD/v3.0.2018.0126.